The message below is being circulated by the National Committee to Free the Cuban Five. The ANSWER Coalition encourages all its supporters to attend this event and spread the word. U.S. hands off Cuba! 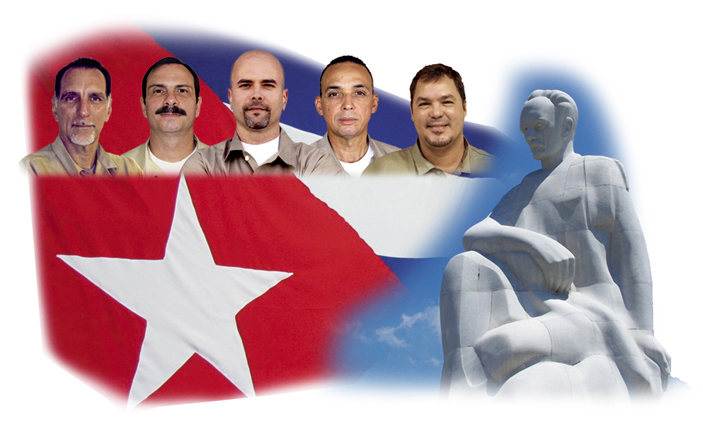 Free the Cuban Five! Freedom to travel to Cuba for U.S. residents! This Sunday, a broad range of groups and individuals will join together for an all-day rally at the Cuban Interests Section in Washington, D.C. to defend Cuba against a reactionary group which will be holding an anti-Cuba protest. Our demonstration in support of Cuba will begin at 9 am and will last all day, but please come by whenever you can and stay for as long as you like. Bring signs and banners. Location: in front of the Cuban Interests Section at 2630 16th St. NW, Washington, D.C., near the corner of Fuller just south of Columbia Rd. The nearest Metro station is the Columbia Heights Metro-Green line at 14th & Irving, 4 blocks away. * On Feb. 24, 1996, Cuba defended its sovereignty by shooting down two of three planes organized by violent Florida-based paramilitaries who frequently, intentionally and provocatively violated Cuban airspace - even dangerously dropping materials over cities. Cuba's justifiable defense was twisted by the Miami courts to falsely charge Gerardo Hernandez, one of the Cuban Five, railroading him to a double-life plus 15 years prison term.